This is a binding Agreement between Team Tronics (or “We”) and the person, persons, or entity (“You” or “Your”) using the service, software, application, or platform (“Service”). By accessing the website https://tronics.io you are agreeing to be bound by these terms of service, all applicable laws and regulations, and agree that you are responsible for compliance with any applicable local laws. If you do not agree with any of these terms, you are prohibited from using or accessing this site or sites. The materials contained in websites are protected by applicable copyright and trademark law. This license shall automatically terminate if you violate any of these restrictions and may be terminated by Team Tronics at any time. Upon terminating your viewing of these materials or upon the termination of this license, you must destroy any downloaded materials in your possession whether in electronic or printed format. The materials on Team Tronics's websites are provided on an 'as is' basis. Team Tronics makes no warranties, expressed or implied, and hereby disclaims and negates all other warranties including, without limitation, implied warranties or conditions of merchantability, fitness for a particular purpose, or non-infringement of intellectual property or other violation of rights. Further, Team Tronics does not warrant or make any representations concerning the accuracy, likely results, or reliability of the use of the materials on its website or otherwise relating to such materials or on any sites linked to this site. In no event shall Team Tronics or its suppliers be liable for any damages (including, without limitation, damages for loss of data or profit, or due to business interruption, insecure wallet, loss of PK, wallet password or keystore file) arising out of the use or inability to use the materials on Team Tronics's website, even if Team Tronics or a Team Tronics authorized representative has been notified orally or in writing of the possibility of such damage. Because some jurisdictions do not allow limitations on implied warranties, or limitations of liability for consequential or incidental damages, these limitations may not apply to you. The materials appearing on Team Tronics's website could include technical, typographical, or photographic errors. Team Tronics does not warrant that any of the materials on its website are accurate, complete or current. Team Tronics may make changes to the materials contained on its website at any time without notice. However, Team Tronics does not make any commitment to update the materials. Team Tronics has not reviewed all of the sites linked to its website and is not responsible for the contents of any such linked site. The inclusion of any link does not imply endorsement by Team Tronics of the site. This includes Partners, Merchants, Businesses, Shops or Tokens. Use of any such linked website is at the user's own risk. Team Tronics may revise these terms of service for its website at any time without notice. By using this website or websites you are agreeing to be bound by the then current version of these terms of service. Team Tronics provides the service solely on the terms and conditions set forth in this Agreement and on the condition that You accept and comply with them. By using this You (a) accept this Agreement and agree that You are legally bound by its terms; and (b) represent and warrant that: (i) You are of legal age to enter into a binding agreement; and (ii) if You are a corporation, governmental organization or other legal entity, You have the right, power and authority to enter into this Agreement on behalf of the corporation, governmental organization or other legal entity and bind them to these terms. This free service functions as a free to use and it does not constitute an account where We or other third parties serve as financial intermediaries or custodians of Your cryptocurrencies(s). service or software used with it. You acknowledge that Your use of this service is at Your own discretion and in compliance with all applicable laws. You are responsible for safekeeping Your passwords, private key pairs (PK), PINs, personal information and any other codes You use with and on this platform. IF YOU LOSE ACCESS TO YOUR WALLET OR YOUR ENCRYPTED PRIVATE KEYS AND YOU HAVE NOT SEPARATELY STORED A BACKUP OF YOUR WALLET AND CORRESPONDING PASSWORD, YOU ACKNOWLEDGE AND AGREE THAT ANY CRYPTOCURRENCY YOU HAVE ASSOCIATED WITH THAT WALLET WILL BECOME INACCESSIBLE. All transaction requests are irreversible. The authors of the Software, employees, partners and affiliates of Team Tronics, cannot reverse transactions or retrieve Your private keys or wallet passwords as Team Tronics has no control over the network. THE SERVICE IS PROVIDED “AS IS”, WITHOUT WARRANTY OF ANY KIND, EXPRESS OR IMPLIED, INCLUDING BUT NOT LIMITED TO THE WARRANTIES OF MERCHANTABILITY, FITNESS FOR A PARTICULAR PURPOSE AND NON-INFRINGEMENT. IN NO EVENT SHALL THE AUTHORS OF THE SOFTWARE, TEAM TRONICS TEAM OR AFFILIATES OF TEAM TRONICS INCLUDING PARTNERS, BE LIABLE FOR ANY CLAIM, DAMAGES OR OTHER LIABILITY, WHETHER IN AN ACTION OF CONTRACT, TORT OR OTHERWISE, ARISING FROM, OUT OF OR IN CONNECTION WITH THE SERVICE OR THE USE OR OTHER DEALINGS IN THE SERVICE OR SOFTWARE. IN NO EVENT WILL TEAM TRONICS OR ITS AFFILIATES, OR ANY OF ITS OR THEIR RESPECTIVE SERVICE PROVIDERS, BE LIABLE TO YOU OR ANY THIRD PARTY FOR ANY USE, INTERRUPTION, DELAY OR INABILITY TO USE THE SOFTWARE, LOST REVENUES OR PROFITS, DELAYS, INTERRUPTION OR LOSS OF SERVICES, BUSINESS OR GOODWILL, LOSS OR CORRUPTION OF DATA, LOSS RESULTING FROM SYSTEM OR SYSTEM SERVICE FAILURE, MALFUNCTION OR SHUTDOWN, FAILURE TO ACCURATELY TRANSFER, READ OR TRANSMIT INFORMATION, FAILURE TO UPDATE OR PROVIDE CORRECT INFORMATION, SYSTEM INCOMPATIBILITY OR PROVISION OF INCORRECT COMPATIBILITY INFORMATION OR BREACHES IN SYSTEM SECURITY, OR FOR ANY CONSEQUENTIAL, INCIDENTAL, INDIRECT, EXEMPLARY, SPECIAL OR PUNITIVE DAMAGES, WHETHER ARISING OUT OF OR IN CONNECTION WITH THIS AGREEMENT, BREACH OF CONTRACT, TORT (INCLUDING NEGLIGENCE) OR OTHERWISE, REGARDLESS OF WHETHER SUCH DAMAGES WERE FORESEEABLE AND WHETHER OR NOT WE WERE ADVISED OF THE POSSIBILITY OF SUCH DAMAGES. 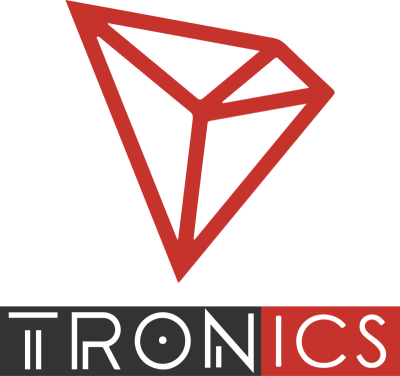 * The amount of rewards earned by Team Tronics may vary depending on the amount of time Team Tronics is voted in as an SR, changes to how Tron rewards its SRs, the ratio of votes creation efficiency and other circumstances that may be out of Team Tronics control. Indicates whether the user has closed a Teaser so that it shall not be displayed to them once more.